Analyst Stephen Ju of Credit Suisse has issued an upgrade on GrubHub from Neutral to Outperform. This is based on the support of six out of twenty top U.S. restaurant chains and is in anticipation of increased fourth quarter revenue and earnings. For the third quarter ending September 30 GrubHub posted a 52 percent increase in sales to $247 million compared to the corresponding quarter of FY2017. The company generated $22.7 million in net earnings. The Company claimed 16.4 million active diners and averaged 416,000 daily deliveries during the quarter. GrubHub predicted Q4 sales to be $283 to $293 range. 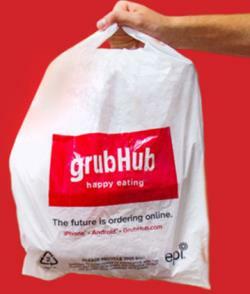 GrubHub closed at $80.77 on Friday January 25th but Credit Suisse forecasts a 12-month price range of $125 to $130.